In the simplest terms, artificial intelligence is the ability of a machine to exhibit human-like capabilities. That ability can be programed or “taught”, but the end effect is essentially automation. Another common attribute is that such AI programs or entities running off AI algorithms are able to execute these tasks as well as any human; in most cases, even more accurately and much faster than a human expert. To begin to understand AI, we need to know the lingo. What is machine learning, how is it different from deep learning, what is cognitive computing, what are neural networks and large neural networks, and so on. Machine learning is a subset of artificial intelligence that uses algorithms to train machines with (usually large) datasets to arrive at accurate predictions. Once the machine has been trained, it can leverage this training to handle new scenarios that it is unfamiliar with. There are various algorithms for this purpose, neural networks being just one of them. Algorithms are primarily mathematical and statistical computations that prepare a program to deal with new situations based on the training it’s been given. Deep learning is a subset of machine learning that uses very large data sets and very large neural networks, or deep neural networks, as some experts refer to them. These deep neural networks can work with massive amounts of data because of their greater capacity, and are used for things like computer vision, image recognition, natural language processing and other AI processes. The end result is a smart machine capable of doing a set of tasks better and faster than any human. PayPal has been using feature learning, a modality of deep learning, to identify and block unusual transactions that may be fraudulent. For example, if a number of purchases are carried out the same way and look suspicious, this then becomes a “feature” that is used to block similar future transactions from going through. By doing this, PayPal has kept its fraud losses at 0.32% against an industry average of 1.32% of overall revenue. 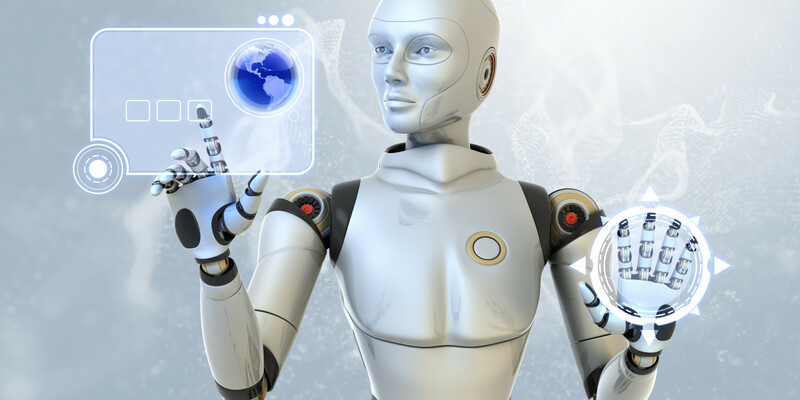 In the domain of investing, there are robo-advisory platforms that can spot emerging trends and make buy or sell recommendations to investors with far greater accuracy and speed than human analysts and financial advisors. Morgan Stanley Access Investing is one such platform. IBM Watson has been working for years with oncologists at Memorial Sloan Kettering to create a cognitive analytics platform that can be applied to a cancer patient’s medical history and combined with the latest drug therapies to help their oncologist make the best recommendation possible for the course of treatment. It isn’t foolproof, but it does have a high success rate because, rather than recommend the correct treatment, it merely highlights relevant data from recent research publications and clinical trial data to help the oncologist make a more informed decision. In a sense, it’s an intelligent helper that greatly increases the efficiency of a doctor looking for the right treatment for his or her cancer patient. Microsoft’s Hanover Project is very similar, but it goes a step further and attempts to recommend specific cancer drug treatments based on its review of recent publications, clinical trials and other research information that would take the average human a much longer time. Even outside the realm of cancer treatment, artificial intelligence can be leveraged to provide relevant and current information to patients researching their conditions. One example is the virtual nurse, like Molly, created by Sense.ly, which can answer questions and lead patients to the right services. The University of Michigan is currently using an advanced text analysis program to review student paper submissions and make recommendations for revisions and improvements. Northern Arizona and Oregon State Universities are using AI programs to personalize their toughest courses, with the result that the rate of low grades and withdrawals from these courses have significantly dipped. Even for lower levels of education, AI is being used in creative ways. Brainly, for example, is a social media platform where students can ask subject-related questions and get verified answers from other students. Content Technologies, Inc. is using deep learning to customize boring textbooks into specially crafted course content. Teachers import their syllabi into the program and the output is in the form of custom textbooks that make core concepts easier to understand and assimilate for a target set of students. Recommendation engines are highly effective, often improving overall revenues by as much as 30% or more. These engines use predictive analytics models and other machine learning algorithms to guide the customer to related products. It pays in spades, because if a company like Amazon is able to increase its revenue by a third because of recommendation-driven purchases, something must be working. Some retailers leverage artificial neural networks to determine the best price of an item based on the location it’s being sold at. Darwin Pricing, PriceLab and Prisync all utilize machine learning programs to move item prices up or down depending on a variety of factors. Amazon is one of the leaders in this type of pricing model, allowing sellers to opt in to its dynamic pricing algorithm and maximize sales and profits. Many of Amazon’s warehouse activities are automated using machine learning systems, but manpower is equally in play, as seen in this video inside an Amazon fulfillment center. Specific to natural language processing and related technologies is the emergence of voice-enabled devices such as Amazon Echo smart speakers and similar products from Google, Microsoft, Apple and others. Companies like Samsung and LG are at the forefront of talking appliances that can engage with the customer on various levels, not just about running low on milk. Many such companies are piggy-backing on Amazon Alexa and integrating it with their products. The upcoming LG InstaView ThinQ™ Refrigerator is just one of many such consumer products we’ll be seeing in the near future. Cars are getting smarter each day, with self-driving capabilities being the latest craze. Autonomous vehicle technology utilizes large amounts of data captured by cameras and other sensors, processes it either on-board or by sending it to a cloud server, and then using the output to react to road conditions in real-time. And it’s not all about self-driving cars. AI is seeping into infotainment systems and advanced driver assistance systems (ADAS) as well. Such systems leverage deep learning to understand and learn from their environment on an ongoing basis, which makes them truly intelligent in the human sense of the word. What are the 4 Types of Artificial Intelligence? 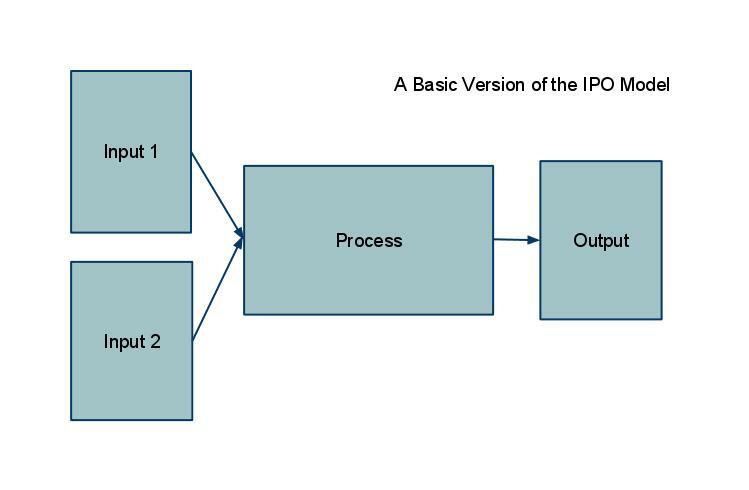 This type of artificial intelligence involves a very basic IPO process: Input, Process and Output, as represented in the diagram below. What makes it fall within the realm of artificial intelligence is machine learning, which is the process part of the equation. Based on typically large dataset inputs, the machine “learns” to understand what it’s supposed to do for future datasets that it hasn’t encountered before. “In fact, the bug was anything but unfortunate for Deep Blue: it was likely what allowed the computer to beat Kasparov. In the popular recounting of Kasparov’s match against Deep Blue, it was the second game in which his problems originated — when he had made the almost unprecedented error of forfeiting a position that he could probably have drawn. Bug or not, it managed to phase an expert human enough to win the match. The game set the tone for the development of such reactive machines that were good at what they did, but had a limited scope. Deep Blue did not have a memory of the past on which to draw upon for its next chess move. Each move was a new one that drew from input data and guessed at or predicted the best possible move in that situation. This disadvantage worked to its advantage in the end because that random move was made simply because Deep Blue didn’t know what to do an defaulted to a random move which, as the story goes, confounded the champion and put him on the defensive. The next level of artificial intelligence involves limited memory that the machine can use as a reference point for future actions. This is where the notion of representation is first introduced in AI. A representation, formally known as a Knowledge Representation or KR, is an internal model of the external world that is used for the purpose of reasoning things to an outcome. The memory capacity of Type II machines is limited, since it is transient. Think of it like a working memory that keeps getting replaced with new data over time. Retention is low, which is alright for certain situations like dealing with real-world traffic, as an example. But representation and memory lack a very important ability – that of a machine to recognize itself as an entity different from what it sees or senses around it. At this level, an AI entity is not only able to form representations about what it senses, but also of other entities. In simple terms, it is a machine’s ability to recognize that other entities have representations of their own, which can differ dramatically from that of the machine’s representations. This is the starting point of social interaction and engagement, even for humans, because we learn to appreciate that others have views and beliefs different from our own. Machines of today are yet to evolve and exhibit this type of AI, and one of the most famous tests that an AI entity must pass in order to be classified as a Type III intelligent machine is the Sally-Anne Test used in psychology. While Type III AI requires a machine entity to form representations about the world and other thinking creatures, Type IV mandates that it be able to form representations about itself. In an nutshell, it is the ability to understand your own state of mind and appreciate that others also have their independent states of mind. It involves qualities like emotion and empathy that are currently the preserve of the human race. It is what allows us to draw inferences based on another person’s state of mind or mood, and other abstractions. It is the highest form of artificial intelligence, but we are far away from achieving it. AI may also be categorized in another way based on their functional capabilities. Such machines are intelligent within a particular domain. Not to be confused with low intelligence, ANI entities are able to perform their assigned tasks better, faster and more accurately than any human can. A good example of an ANI would be the AI used by Google to rank web pages. It can’t do much else, but there’s nothing and nobody who does what it does as well as it can, if that makes sense. This is the first level of super-intelligent machines we’re looking to develop in the near future. How near? That’s a matter of fierce debate, but what it entails is the ability of a machine to exhibit behavior that is indistinguishable from that of a human subject. Many experts believe that we have merely scratched the surface in this frontier. The K computer developed by Fujitsu is ranked the fourth most powerful supercomputer in the world. And it took the K computer 82,944 processors and 40 minutes to simulate a mere ONE SECOND of human brain activity. The experiment involved virtual nerve cells – 1.73 billion of them – interconnected by 10.4 trillion synapses, or the connections between the neurons of a human brain. Despite being the first computer in the world to surpass 10 quadrillion operations per second (10 petaflops), the best it was able to do in that 40 minutes was simulate one second of normal human brain activity. That should give you a rough idea about how far away we are from creating AGI entities. This type of intelligence is very different from AGI in that does not involve mimicking human behavior. It involves surpassing it in every respect. Essentially, it would be a robot or a program that can write music more mellifluous than that of Bach, Beethoven and all of histories great composers combined; it can write poetry more pleasing than all the great poets of human history; it can paint pictures and create sculptures that would be far better than anything a human eye has ever seen. Such machines would be able to make more of themselves, eventually populating the world with ASI entities that would communicate in a language that we might not even understand. This actually happened when Facebook attempted an experiment to pit two chatbots against each other in a negotiation. They had to pull the plug on the whole experiment when the chatbots created and started conversing in a language of their creation. The best (or worst?) part was that they even concluded the negotiation, but the outcome was not understood. Is it even possible for machines to evolve to such an extent, you ask? We don’t know enough to answer that question. No one does. But the fear of robots is essentially a fear of ASI entities that may no longer find humans to be “useful” to them. The truly fearsome aspect of this is that a human won’t be able to create such an entity, merely the base-level machine that will then evolve on its own to become superior to humans in every way. In simple terms, ASI is the artificial intelligence of our worst nightmares. The great divide between the proponents and detractors of artificial intelligence is representative of an uncertainty in the balance between the risks versus the benefits of AI. In other words, we don’t know whether AI will be more dangerous to us than beneficial. Some of the pros are obvious: improved quality of life from greater automation in our homes, offices and cars, freedom to focus on more important things than mundane tasks and so on. Some of the cons have been made equally obvious by detractors of AI research. Even some experts believe that AI should be limited to automation and similar tasks because ASI will eventually threaten human existence. For the most part, AI has been beneficial to us so far. Yes, there are risks of automated systems being hijacked by hackers and used for nefarious purposes, but any technology poses that risk. The one thing we cannot ignore is that the development of AI will continue whether we like it or not. We might not have reached the threshold of AGI, let alone ASI, but ANI is already very much a part of daily life. Let’s look at some examples of ANI in action and what it’s done for us so far. We’re not quite there yet, but companies like Tesla and Waymo (a Google spin off currently operating under the Alphabet, Inc. umbrella) are very close to achieving high levels of vehicular autonomy. In the near future, we can expect the transportation industry to undergo an upheaval as autonomous vehicle systems are deployed in large fleets globally. Our current ability to predict the weather is not really that much better than a hit and miss effort, but machines are now learning to digest and assimilate astounding amounts of historical data and arrive at predictions far more accurate than what your TV weatherman feeds you every day. Further improvements will help farmers, fisherman, pilots and various other professions do their job better and stay safer than ever. What would it be like to live in a home where no work was done by humans? This Jetsons-esque future is not too far away simply because it is a commercially viable form of artificial intelligence. Where the money is, product development will prosper. Smart products are expensive today, but scale will make them cheaper over time, and one day it’ll be merely a question of an add-on option to fully automate a home during its construction stage. This is an area where heavy investments are being made. The average number of robots per 10,000 employees in the global manufacturing sector is already approaching three digits. It is also cause for concern about the future of work in factories. The modern factory of today employs a high level of automation, and the world’s largest manufacturers are looking at even higher-level tasks to come within the purview of robots and AI systems. We cannot accurately predict where artificial intelligence will be in the next five, ten or twenty years, let alone a century from now. But it is certain to keep pushing into every sphere of human life as we know it. Every industry in the world has found a way to bring automation into its workflows, and emerging technologies are at an advantage because they can built AI into their creations at the ground floor level, so to speak. There’s no doubt that jobs will be lost, but it is a price we seem to be willing to pay, even though we complain about it at every turn. Technology has been replacing jobs ever since it made its way into mainstream existence with the First Industrial Revolution a few centuries ago. Will it take us to a better future? We can’t answer that with any amount of certainty. The only thing we can be sure about is that major changes are coming no matter where you live or what job you do. The best way to be prepared is to be proactive and acquire the skills that will one day be in demand…or at least hope that our children will acquire those skills and remain relevant in tomorrow’s labor force.